Even if you set gifts aside, Christmas is expensive. The decadent food, the extra gas you use to get to all your functions, child care for when they’re off school but you still have to work… the list goes on and on. One of the biggest expenses, especially if you have a family that loves to get into the Christmas spirit, is decorations. You need indoor lights and outdoor lights. You need a tree. You need garlands and wreaths and centrepieces. You need a tree skirt and holly and stockings. Some of you even love to fill your yards with giant, inflatable, lit-up Santas and sleighs, and all his reindeer. 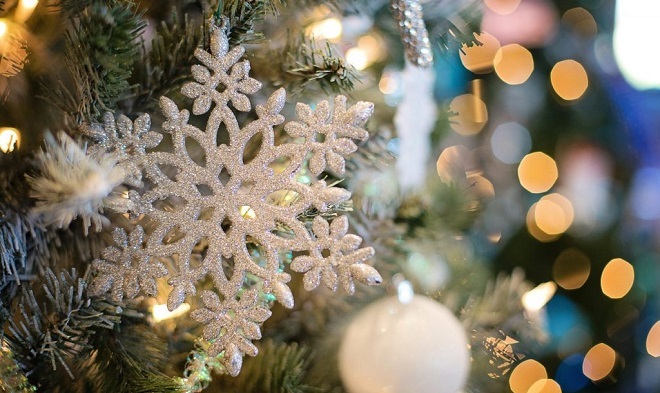 All of this can become a rather hefty expense, and your credit card could take a serious hit from just your decorations alone. 1. Thrift stores - Don’t just keep an eye out during the holidays. Go year ‘round looking for Christmas decorations. Especially when they’re having some sort of sale. It’d be harder to find a thrift shop with no Christmas decorations than it would be to find a needle in a haystack, I think, and the gear is not all gaudy eyesores. Spend a few minutes to look through what they have and you’ll walk away with a gem for a buck or two. 2. Garage sales/estate sales - Watch for garage sales popping up around your neighbourhood. You can usually find some good Christmas stuff here for even less than in a thrift shop. Even if the sales are in the spring or summer, you’re still going to find some Christmas stuff every once in awhile. Estate sales are also great for collecting good quality Christmas gear and you can often walk away paying just a buck or two for a box full of stuff. 3. Dollar stores - I honestly don’t know how dollar stores are doing it these days, but their products are not half bad and dirt cheap. You’re not going to get the best quality stuff, but you will find some beautiful, festive decorations that will fill your home with Christmas cheer. You’ll spend twenty bucks on the same stuff you’d pay $100 for at Canadian Tire or Superstore. 4. Get crafty - Pinterest is a never ending source for Christmas crafts that cost next to nothing to create. What’s even better is that you can get your kids involved in making them. Things as simple as a backyard collected pinecone covered in spray adhesive and dipped in glitter can give your Christmas dinner table a tastefully cheerful sparkle. 5. Shop early - Buy your decorations for next year the week after Christmas. They will practically pay you to take their Christmas stuff away. 6. Groupon - Always check Groupon this time of year for items such as trees, Christmas lights, or other beautiful things to light up your home with the Christmas spirit. 7. Take good care of what you already have - This may sound obvious, but come January 1st, some of you are going to be so ready to take your decorations down that you just shove them in a box haphazardly, and cram them into some damp corner of your garage. Instead, take the time to wrap breakables and pack things neatly. Store your decorations in a dry place, so you don’t open a box of mildew next year and take care when moving the boxes around. You should be adding to your collection each year, rather than replacing it. What do you do to save money on Christmas decorations? Let us know in the comments!